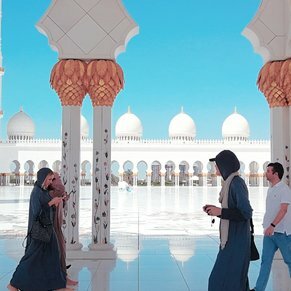 Check Prices For Abu Dhabi, U.A.E. Dubbed the Garden City of the Gulf, Abu Dhabi now offers visitors a variety of options to explore, such as green parks, clean beaches, and a range of marine and other sports, from powerboat races to sand-skiing and exotic adventures in the desert. Tourists can also pay a visit to the oasis city of Al Ain and enjoy a sightseeing tour to archaeological and leisure sites such as Al Hili Fun City. Cruises to Abu Dhabi, U.A.E. 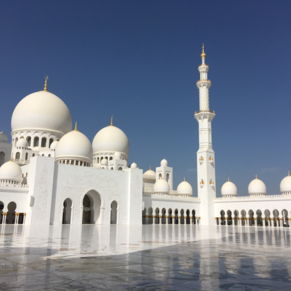 32 reviews and tips of Abu Dhabi, U.A.E. If you fancy the High Tea at the Palace Hotel, book it yourself and avoid the ship's tour. Loved Abu Dhabi. We went on a Dune bashing adventure. 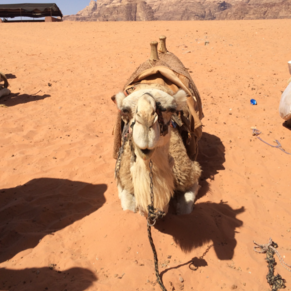 This adventure includes camel riding, henna painting, dinner, sand boarding and a belly dancing show. A must do activity when you Abu Dhabi . 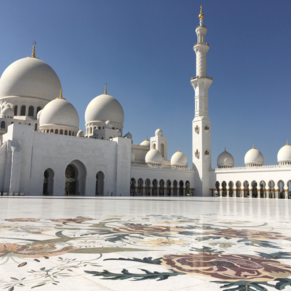 Also visit the beautiful Grand Mosque. 3 of 11 shore excursions in Abu Dhabi, U.A.E.. There are currently 0 discussions about Abu Dhabi, U.A.E..